IF you have NOT read the tech article on the reason behind the power problems of the Rotax 800 Twin Engine HERE (clicky) and HERE(clicky) PLEASE, take a little time to read it so that you can have a better understanding of what is REALLY happening inside this engine. OK, Now, that you have a good understanding of the problems associated with the 800 Series III Engine and R Engine.... Let's look at a few solutions to what plagues this awesome power-plant!! Since RK Tek is known for their unique and effective methods for “fixing” Rotax engine issues, this new engine was surely going to get the “full treatment” and get a “makeover”. This “makeover” came in the form of a new made Dual Ring Piston and Head Kit to drop in the new 800R Engine. 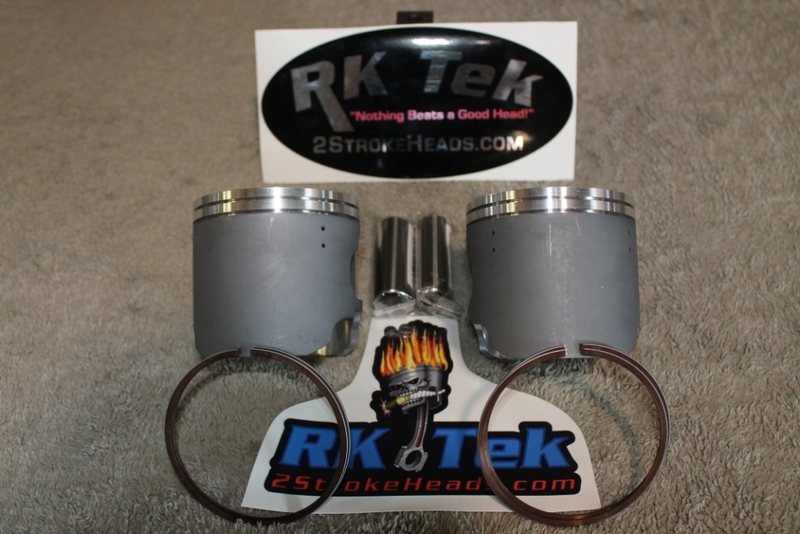 This Drop In Piston Kit was designed in the same manner as our Series III Engine 160HP Drop In Piston Kit. Remember we also have a Direct Replacement Piston Kit as well. So, now, we have an engine with a MUCH better piston and ring design. Couple that with a custom combustion chamber designed specifically for this engine and you have yourself a recipe for a very SOLID and POWERFUL power-plant that will NOT power-fade (heat soak) on a long pull. This kit is also MORE reliable than stock. In other words… It will perform better and last longer than your stock engine set-up!!! OK, What is required and what are the costs for this awesome kit?